Duplex Steel 2304 Sheets, Duplex 2304 Sheets, Duplex Steel 2304 Chequered Sheet, ASTM A240 Duplex 2304 Sheets, DIN 1.4462 Duplex Diamond Chequered Sheet, 2304 Duplex Sheets, UNS S31803 Duplex Steel Sheet, Cold Rolled UNS S32304 Duplex Steel Sheets, Manufacturer, Suppliers, Exporters, Mumbai, India. 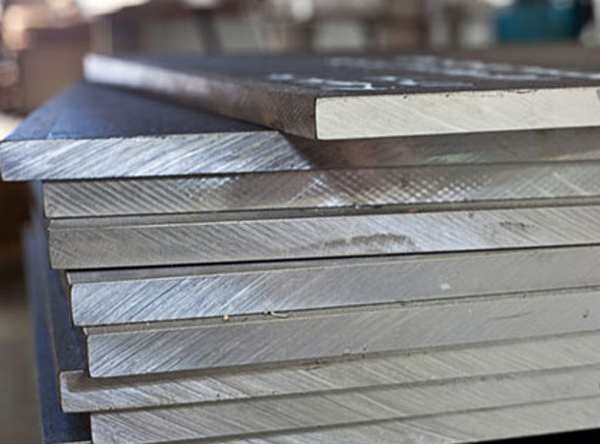 Stainless steel grade Duplex 2304 sheet is a duplex stainless steel type with a structure that is a balance of ferritic and austenitic. It has high strength and toughness, resistance to stress corrosion cracking, high thermal conductivity, low thermal expansion, and easy fabrication. It is recommended that this steel is not used in areas where the steel would be exposes to temperatures over 1058°C (570°F) for prolonged periods. Duplex 2304 sheet is a 23% chromium, 4% nickel, molybdenum-free duplex stainless steel whose structure is a balance of ferritic and austenitic. It has general corrosion resistance similar or better than Alloys 304L and 316L but with yield strength nearly double that of austenitic stainless steels. Its duplex microstructure and low nickel and high chromium contents also allows Duplex 2304 to demonstrate improved stress corrosion resistant properties compared to 304 and 316. It is typically suitable for all applications in the -58oF to 572oF (-50oC to 300oC) temperature range and is designed to feature high mechanical strength, good weldability, good corrosion resistance, high resistance to stress corrosion cracking, good machinability, low thermal expansion, good fatigue properties, high thermal conductivity, and easy fabrication.